In large stockpot, brown ground beef with onion and green pepper. Drain grease. 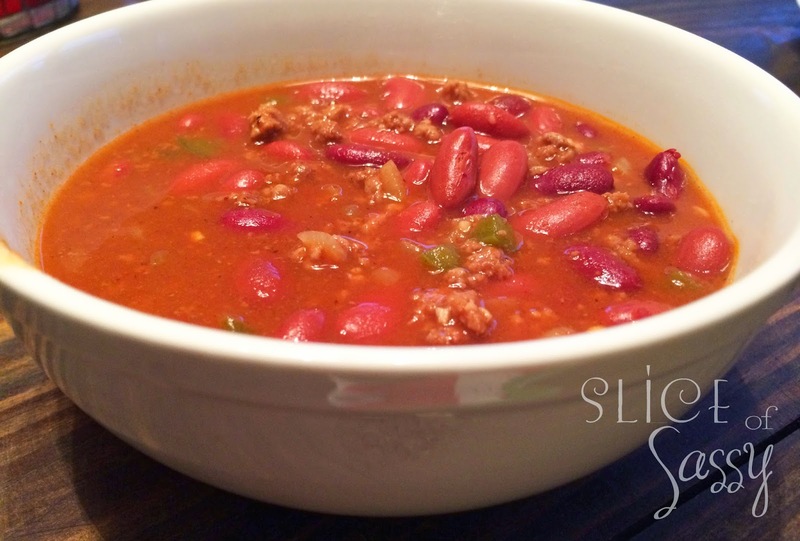 Add salt and chili powder, then add remaining ingredients. Simmer for 45 minutes. 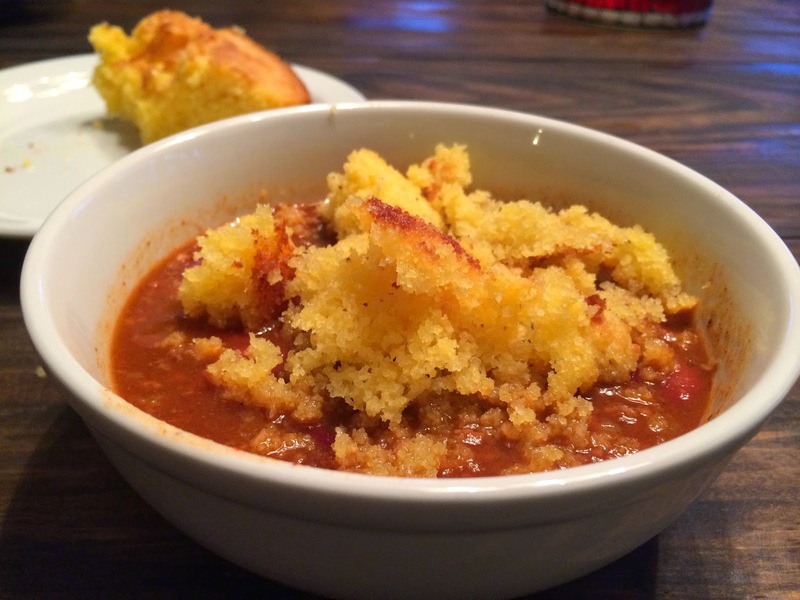 This chili is delicious with Skillet Cornbread.